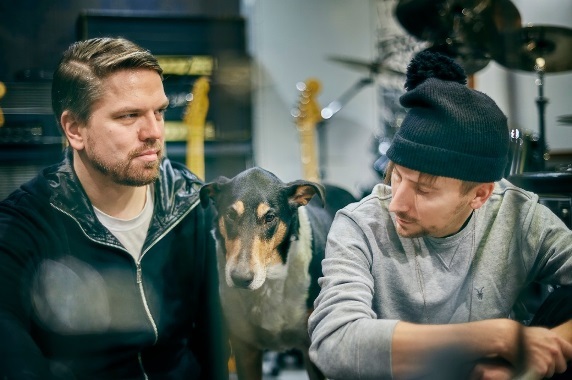 Finnish duo VILLA NAH have returned after a five year hiatus. With their recently released second album ‘Ultima’, Juho Paalosmaa and Tomi Hyyppä have reminded the general public as to why they wowed audiences who saw them open for OMD in 2010. However, despite the acclaim, the childhood friends faded from view after that tour. During the break, Paalosmaa formed SIN COS TAN with ‘Origin’ co-producer Jori Hulkkonen and excellent songs such as ‘Trust’, ‘Calendar’, ‘Avant Garde’, ‘Moonstruck’ and ‘Love Sees No Colour’ filled the void left by VILLA NAH. While their debut album ‘Origin’ was prime crystalline synthpop, ‘Ultima’ undoubtedly comes over as a more varied and mature musical statement. 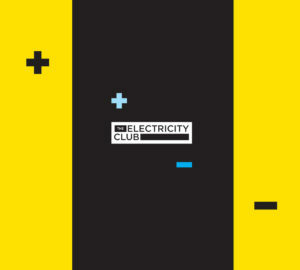 There are fewer club friendly tempos but this has been offset by a comparatively sunny disposition on songs like ‘Love Chance’ and ‘Life Is Short’, as well as an abundance of dreamier atmospheres like on the beautiful grown-up lullaby ‘Proxima’. 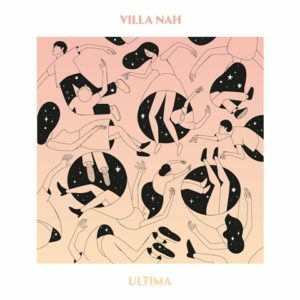 Despite their new found optimism, VILLA NAH’s inherent melancholy remains while their technical prowess is as sharp as ever. Juho Paalosmaa and Tomi Hyyppä chatted about the genesis of ‘Ultima’ and its influences, both musical and technical. How does it feel to have recorded together again after a gap of 5-6 years? Juho: Feels good! We had met on numerous occasions over the years, but became active again in our studio in 2015 when the majority of ‘Ultima’ was recorded. It helps a lot that we’ve been friends since kids, as there’s always that connection. Five or six years can feel like a long time for many, but after a 30 year long friendship, it’s not that bad. What was the impetus to renew the partnership? Juho: A number of reasons. We never really buried the idea of recording again – it was always likely to happen. It just had to feel spontaneous, natural. I think it also helped that no-one was really expecting us to release anything anymore. Working under the radar made things fun again, it gave us a free creative space with no rush to anything. On a more personal level, there are also some songs on this record that had haunted me for a very long time; songs like ‘Mistakes’ and ‘Heaven’. I simply needed to get them out, and they played a big part in forming what would become the overall feel of ‘Ultima’. Jori Hulkkonen is again involved on the production side. But he is also involved in SIN COS TAN… so for the uninitiated, how would you explain the musical and compositional differences of VILLA NAH? Juho: For the uninitiated, I’d describe the differences of VILLA NAH and SIN COS TAN with one word: atmosphere. VILLA NAH has more of a romantic, softer, at times naivistic quality to it. SIN COS TAN on the other hand is colder, more cynical, and the songs have a harder, more modern edge to them. With VILLA NAH, the songwriting is fully my responsibility, while Tomi handles the engineering and often the percussive side of things. A key difference between ‘Ultima’ and our debut ‘Origin’ was the mixing. This time Tomi had all the mixing duties, which gave ‘Ultima’ a very distinct, warm sound. I think it sounds lovely. ‘Ultima’ sees a more atmospheric, filmic side to VILLA NAH compared perhaps to ‘Origin’ with? Juho: Well, I find that ‘filmic’ sensibilities have always been present in our music, it’s pretty much inescapable. I’m a big cinephile and think of melodies in very visual terms, usually even describing them as scenes in an imaginary film or a play. But with ‘Ultima’, I specifically wanted to make my own interpretation of a dream-pop record. Dreams have been a constant inspiration with VILLA NAH, the worlds they inhabit and how they’re fuelled by our memories and experiences. So yeah, that certain atmosphere was very important to get across on ‘Ultima’. And I’m happy if it did. The dance influenced rhythms that were a characteristic of ‘Origin’ are less prominent on this album, is that just a part of getting older? Juho: There’s a few reasons for it. First off, I had worked on several records with Jori in SIN COS TAN where there were a lot of dance tracks. In fact, our latest EP ‘Smile. Tomorrow Will be Worse’ was comprised only of more club orientated stuff. Also, some earlier songs I had done as demos for VILLA NAH – tracks like ‘Trust’ and ‘Limbo’ – went to SIN COS TAN, as they felt more in tune with what we were doing with Jori at that time. So when it came to ‘Ultima’, I wanted to explore a softer and calmer atmosphere. Getting older certainly plays a part in it too, but also the world we inhabit: things feel pretty insane in 2016 in a lot of ways… and I personally like the idea of having a relatively gentle, unabrasive pop record in the middle of it. It’s almost like a quiet manifest against all the glowstick parties and warmongering out there. ‘Stranger’ was a perfect song to return with. How did that emerge and what is it about? Juho: I was heavily into JOHN MAUS when we made that, I think we both were. The off-kilter vibe of his music was definitely an influence – even though the end result sounds nothing like him. ‘Stranger’ is a play on words; how somebody you’ve known can turn stranger over the span of time… and end up as a complete stranger in the process. I don’t think it’s a track I would’ve written as a 20 year old. It requires some years of age and experience to really understand how time can change people, including yourself. What’s the story behind the composition of ‘Spy’ and the ‘Spy vs. Spy’ computer game? Juho: Bit of a long story this one… when we were little kids, me and Tomi had a mutual bond with the characters of ‘Spy vs. Spy’. Tomi subscribed to a comic magazine called ‘MAD’ which featured the amazing cold war influenced cartoons of Antonio Prohías called ‘Spy vs. Spy’. And I had a Commodore 64 computer at home with a game called ‘Spy vs. Spy’ – based on the very same cartoon by Prohías. This game had a 20 second loop of music which played throughout nonstop. You’d think it’d be infuriating to listen to, but instead it was just really hypnotic. So hypnotic that it stayed in my brain ever since. Fast forward to 2008, and I wrote a VN track based around the game’s lead melody. In the process of picking out tracks for our debut ‘Origin’, ‘Spy’ was one contender. I don’t remember why it didn’t get picked, but I do recall Jori loving it… so on ‘Ultima’, we really didn’t want to leave it out again. Before we could proceed, however, we needed to track down Mr. Nicholas Scarim, the man behind the theme music’s ingenious composition. Soon enough, we found ourselves corresponding with Mr. Scarim. We humbly presented him our interpretation and were happy to hear that Nick really loved the track and gave us his approval! The rhythm programming on ‘Mistakes’ is unusual in many respects for an electronic pop record, what was it inspired by? Juho: ‘Mistakes’ was a track that had existed for many years, in various forms, most of them ringing in my head like an obsession. The rhythm track also changed a lot in the process – it was initially much more straightforward, too much so. Jori introduced the idea to make it more contemporary, which gave the song a more compelling twist. Tomi: Got to give credit to Jori Hulkkonen for saving that song. It was one those songs that was completely lost in the endless swamp different versions and styles, so it definitely needed outside intervention to become finished. ‘Love Chance’ and ‘Life Is Short’ might remind some UK audiences of CHINA CRISIS. Is that a coincidence or do you have an appreciation for them? Subsequently I did find the music of CHINA CRISIS later on. And fortunately liked what I heard. Some of their stuff had a similar vibe to things I adore, like the poppiest work of YELLOW MAGIC ORCHESTRA and their solo efforts; chorus vocals sung in laid-back unison, where the emphasis being on the song’s instrumentation contra to the leading vocal melody. This is something I wanted to explore as well, with ‘Life Is Short’ and ‘Love Chance’ being precisely the songs on ‘Ultima’ where you can hear that. So yeah, I really don’t object to this comparison – even if really, it is more of a coincidence. 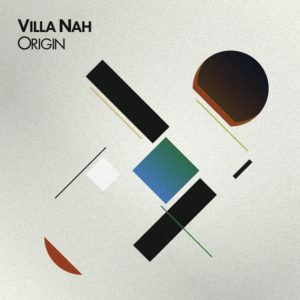 The album sees more prominent use of guitar, are there any particular guitarists or styles that influenced how the instrument would work for VILLA NAH? Juho: Way before we started doing music with synths, we played with more traditional instruments. I still write music with either keys or a guitar. But I don’t regard myself as a proper guitarist by any means. Guitars can help a song with its groove – in the stuff we make it’s not always necessary, but with the right song it can work nicely and give it another dimension. Tomi: Guitar is actually an annoyingly difficult instrument to blend in properly with synths, the way you play guitar versus synths is so different, so guitar melodies clash easily with synth melodies in a bad way. Then again, it is a matter of skill, haha! I’d like to mention John Frusciante here, he’s been my favourite guitarist for a long time and in recent years, he has been going nuts with synths. Have you changed any of your technological approaches with ‘Ultima’, like with hardware synths versus softsynths, vintage analogues versus modern ones? Tomi: I have to admit that I’ve pretty much grown out of the analogue synth hype. Actually I’ve always just wanted instruments that sound good, the technology itself has not been the reason for example to buy analogue synth classics. They’re classics because players have found the good sounding, simple and straightforward instruments. So on the hardware side, we did use quite a lot of digital synths and it was also a bit of an exploration of a new tech-territory. My favourites at the moment are older wavetable synths, they are honestly digital rather than being “virtual”-something. I have to admit that I’m not really a fan of modern analogues, they lack the murkiness or mud of the old ones. I like mud, though the new Prophet-6 is pretty amazing sounding. And when it comes to soft synths, I did use them mostly for layering and supporting uses etc. The problem for me with the soft synths is that I like to record things in a pretty old fashioned way and that is something I cannot do with the software. For example overdubbing, using hardware effects / running signals through guitar amps is hard or boring to do with softsynths, since you lack the proper interaction with the instrument and other hardware. Your favourite songs on ‘Ultima’? Juho: It’s funny, I don’t really have one particular favourite. I tend to view the record as a whole, and I think the songs emphasise that: there’s less immediate tracks – they’re all meant to complement one another and sort of slowly creep in over time. Perhaps the tranquillity of ‘Proxima’ is something that I really like, but again that’s probably because it’s right after the intense crescendo of ‘Stranger’. Tomi: ‘Clockwork’, ‘Proxima’ and ‘Heaven’ are my favourites. I think they are the most atmospheric pieces on the record. I’m hoping that ‘Heaven’ finds its audience, it’s a beautiful song. ‘Clockwork’ and ‘Proxima’ are both quite minimalistic yet deep and full of feelings, these were also my favourite tracks to mix / produce. Who do you think ‘Ultima’ will appeal to? Juho: Hopefully to anyone who still has the capacity to listen to a full LP of what I regard as traditional pop. It’s not a party album really, so I think it demands a little more time and individual attention. It’s a combination of quite dreamy and melodic synth tracks with a lot of romantic themes. If those as a concept sound at all appealing, then please proceed to ‘Ultima’ territory. What’s next for VILLA NAH? Will you tour ‘Ultima’? Juho: We’ve been playing some record release shows here in Finland and try to stay active in our studio in the meantime. Plenty of tracks are still unreleased, plenty more get born all the time. We’re having fun. At the end of the day, that’s really what matters. Tomi: Yeah, aside from the ‘Ultima’ related gigs, we’ll be spending time in the studio as it also works as a safe haven from the real world, keeps us sane.